Today, we would like to have a talk about KNILA’s mobile application development. Previous years were the mobile app economy for us, while the current year is still continuing to be progressive by shedding more new featured apps through the advanced techniques and approaches. So at present, our mobile applications are rapidly flowing into the app market. 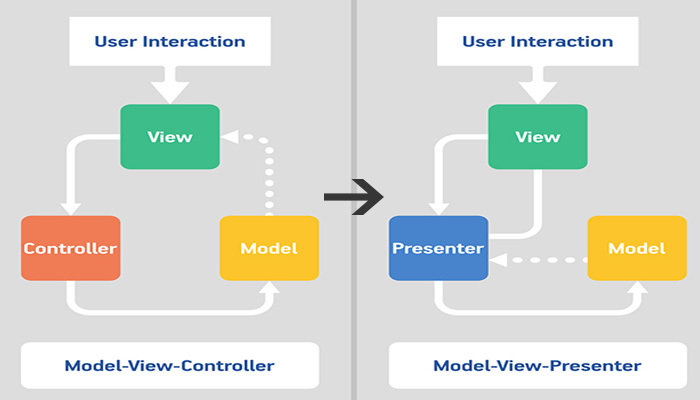 There are three major approaches MVC(Model View Controller), MVP(Model View Presenter) and MVVM(Model View ViewModel) for the applications development. It’s up to the mobile app developers to choose, which approach best fits their application. Although, there are numerous blog posts that talks about these approaches and strongly advocates for one over the other, rather than the controversy in choosing which approach is better, we made decision that there are high values and as well some potential issues in every approaches, (“where there are positive, obviously there would be some sort of negativeness”). Rather than choosing which one is best, we wanted to switch over to the next advanced approach (MVP pattern), which is more derivative and has more advanced paradigms to create a better separation of concerns. As of now, that is gaining more importance in developing our mobile applications for iOS andAndroid. Previously, we started developing our iOS applications through Objective-C, a couple of months later iOS developers were in the progress of developing the applications through the new releases. Later on, our codebase has changed on to Swift which makes our applications even better reliable and flexible. 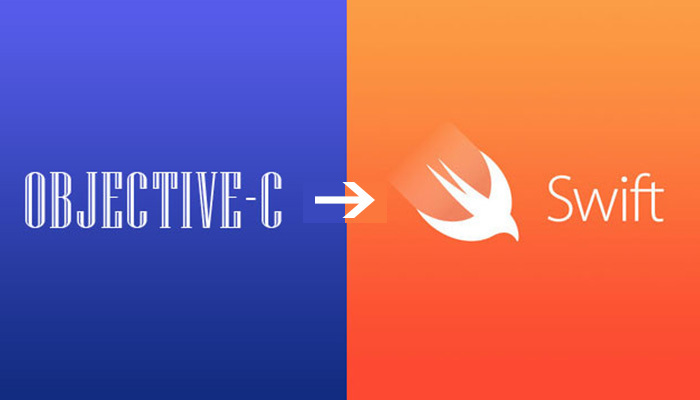 As we made the transition from MVC to MVP for mobile applications, by using MVP approach with Swift in iOS applications, impacts our development fast and efficient by increasing the productivity. Another fact is that the iOS developers gain hands-on experience by implementing with the advanced platforms which make them develop and improve their personal skill sets too. Knila follows the principles of agile for software development, ultimately we ensure that implementing Agile for mobile app development results high adaptation of mobile apps. 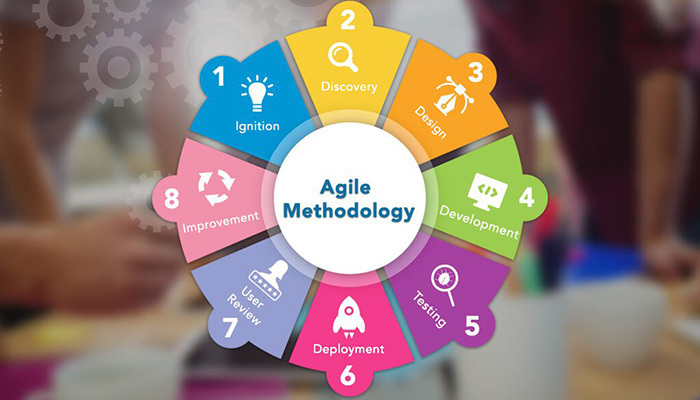 Our theory of agile to mobile app development focuses on constant customer involvement, flexible planning and execution and of course, risk management. In short through the division of short modules and frequency in reassessment and adaptable in the plans, we have an ability to sign off our applications quicker and faster by implementing the agile. Cross platform development is one of the major secrets behind Knila’s achievement. Before the advent of cross-platform development, we were into developing the native apps. Since the advanced technologies and frameworks bloomed into the tech-market we have also switched on working with the cross-platform mobile applications using the framework Xamarin. Although our applications are being developed using Java for Android and Swift for iOS we are also compatible with C# for our multi-platform applications. Thereby, the mobile app developers at Knila are on par using the latest platforms and frameworks for both the native as well cross-platform development based on the requirement of our clients. The final secret behind Knila’s milestone is that we have analyzed and fetched the data according to the domains which are most popular and required by the users. We worked on such domains which led us to rapid growth. We are specialized by imprinting in domains such as health and fitness, financial services, E-commerce, Education, Entertainment and Travel and Safety. App developers at Knila are always engaged in updating their technical skills to the advanced methodologies, frameworks, and platforms which enable a switch over to the higher level of developing and executing our mobile applications successfully.